On April 6, I, was honored to attend the Leading Women Awards. It was my second time attending, and I was so excited for another day filled with such amazing women! This time things happened to be a bit different though. I was asked to kick-off the ceremony and be the flag caller! As I stepped off stage, I was immediately congratulated on how well I had done. I arrived back at my seat, and enjoyed a yummy breakfast. I was seated at a table surrounded with some nice people from Eastern Bank. They had so many questions about what I had done in Girl Scouting and I was more than happy to share with them. I talked about traveling with my troop, my Gold Award project, and serving on the GSEMA Board of Directors. Soon after, we were welcomed to the ceremony by Pat Parcellin, GSEMA’s CEO. 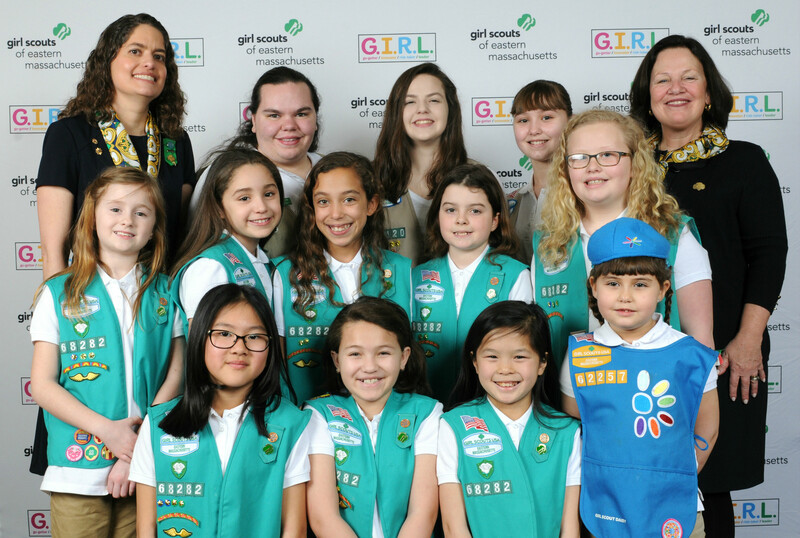 She spoke about Girl Scouts’ mission of building girls of courage, confidence, and character and how those three things are what build future leading women. Then Dr. J. Keith Motley spoke about what fundraising can do for the girls of GSEMA. His charisma had everyone laughing and donating. He is awesome! I circled the room to collect donations and thanked many people for donating to such a great cause. Next came my absolute favorite part of the event, when we got to hear about other Girl Scout experiences and honor the four Leading Women. 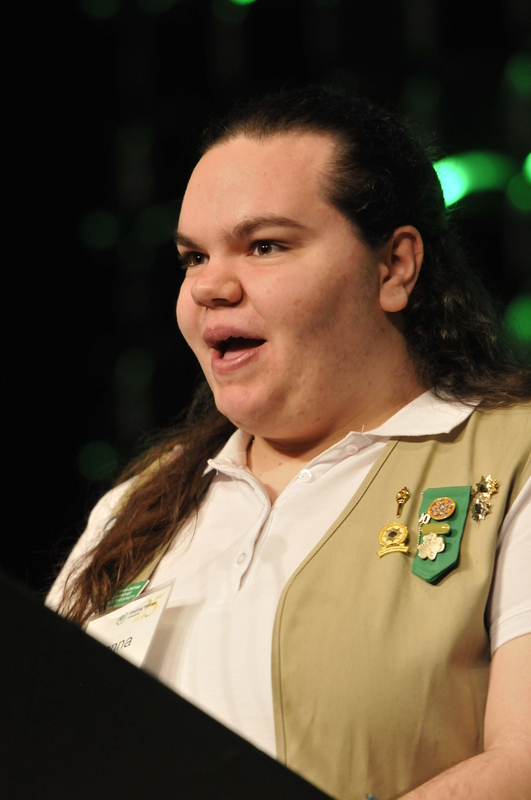 First Maya Hayes shared her Girl Scout experience and introduced Phyllis Barajas. I was really moved by her story about how being Latina has impacted her. It was special. Next Rosabelle Fergus introduced Linda Connly, from Dell EMC; Judy Ma introduced Danielle Curcio from Raytheon; and finally Grace Kelly Griffin, introduced Dr. Jessica T. Donohue, from State Street. 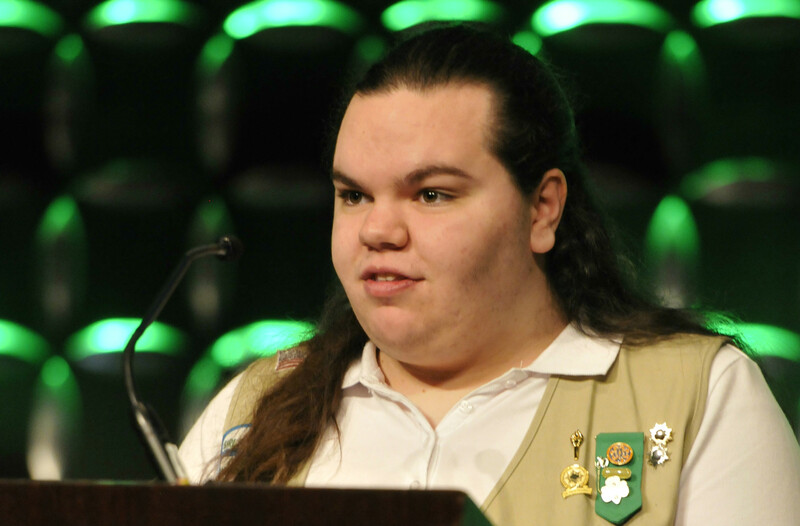 I deeply connected with Danielle Curcio’s remarks; she shared her message about being a ‘fearless girl.’ I live by that mentality every day—not just within Girl Scouts but in everything I do! I also found it interesting that Jessica works with over 500 institutional clients worldwide! It was great to see a woman as a part of a commonly male associated field. These women all share one common attribute—the ability to be strong leaders. To end our inspiring morning, Pat Parcellin drew a name from among the donation envelopes to win a strand of pearls. These pearls held special meaning, as they were meant to represent Girl Scouts founder Juliette Gordon Low selling her pearls to keep Girl Scouts going. I left the event feeling so inspired and as though I could accomplish anything I put my mind to!